If you are in the market for a decent laptop, then Apple just made things a little bit more interesting – yet again - by announcing a new MacBook. 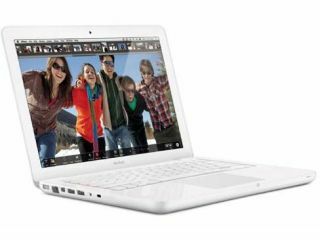 Apple's new glossy white unibody plastic MacBook is available in a 13-inch model, from £799 upwards, depending on spec. The screen is LED backlit and the machine features the glass multitouch trackpad previously only available on the costlier, spritelier MacBook Pro series. Inside Apple's new MacBook you will find a 2.6GHz Core 2 Duo processor, 2GB of RAM (upgradeable to 8GB), an NVIDIA 9400 GPU and a 250GB in SuperDrive with double-layer support. On the side of the machine you will find the usual Ethernet port, a couple of USBs, and a 3.5mm headphone jack. "The new MacBook includes many of the great features found on the innovative MacBook Pro, such as an LED-backlit display, glass Multi-Touch trackpad and built-in long-life battery," said Philip Schiller, Apple's senior vice president of Worldwide Product Marketing claimed. "With the only lineup of notebooks all featuring unibody enclosures, LED-backlit displays and long-life battery technology, there's never been a better time to switch to a Mac." Available today. Go, students and would-be designers! Go directly to Apple!